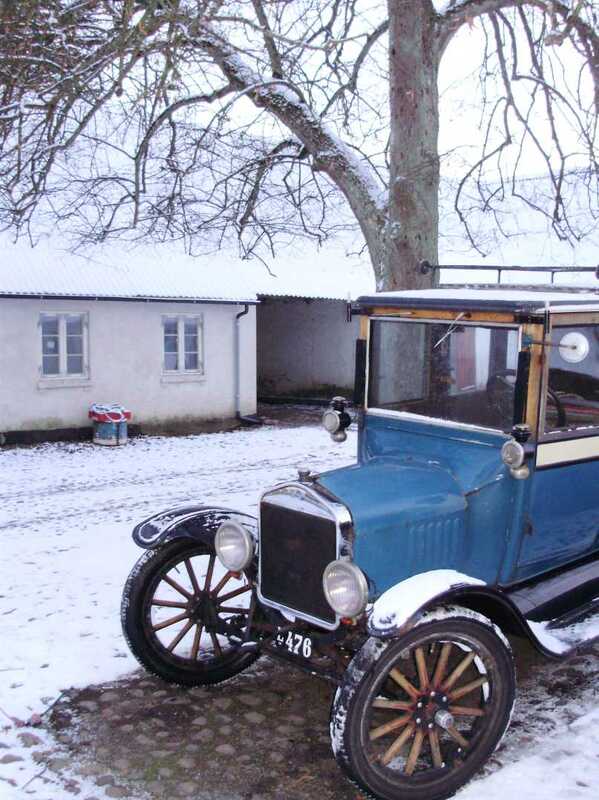 Model T Ford Forum: Driving the T in December? Driving the T in December? 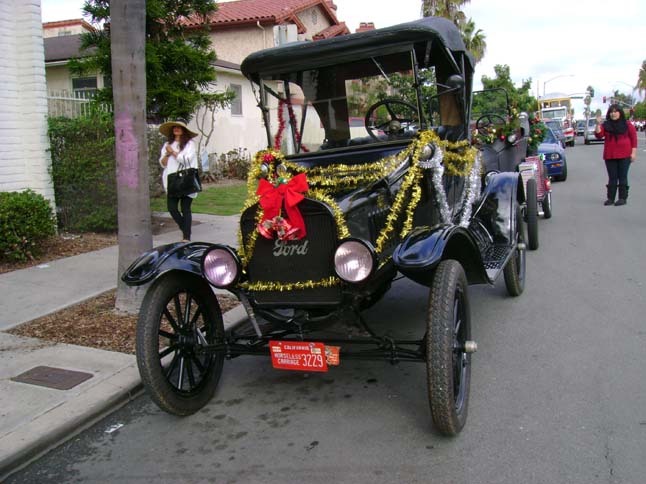 Model T Ford Forum: Forum 2012: Driving the T in December? Today was a very strange day in Southeast Nebraska. It was foggy most of the day but very warm in the 60's. The wife and I took the Tudor out for about 60 miles of T driving in December. Sun came out late this afternoon. Sunset on the T after a day of driving. Very cool! 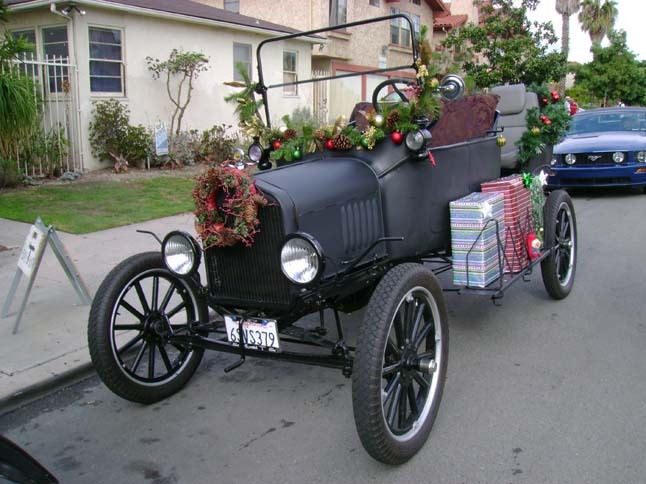 I'm hoping for no rain next weekend so my granddaughter and I can decorate the coupe with Christmas lights and go for a december drive. I'll be taking the Speedster out tomorrow for a nice run. 60's predicted here in Milwaukee. Don't worry about the warm weather. It's a hoax. We've been a degree or two shy of the record highs nearly all week here. (Mid 80s) Picked a bushel of lemons and a peck of peppers today. Winter doesn't get here until January. Gosh, I dread that. Could stick around for a week or two. I drove the K to town twice today with just the top up and windscreen. Unbelievable weather for this time of year. Rob - We drove up east of Murdock to help a new member get his coupe running. I made a few adjustments to his car and had it running good. 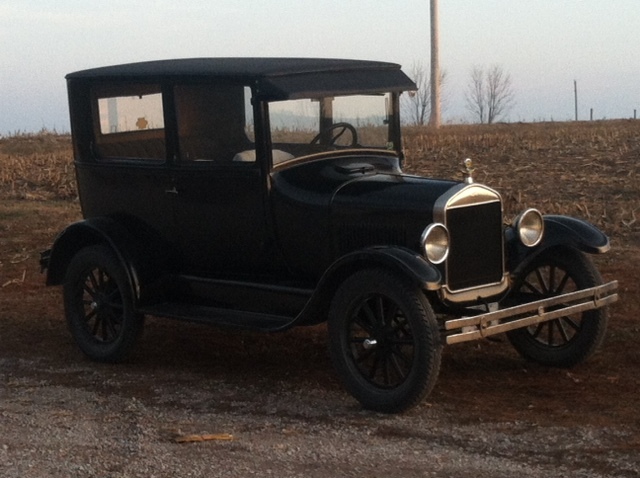 We took it for a drive and then Beth and I drove around the country side enjoying the weather on the way home. Got home in time to watch the Huskers play defenseless football! A toasty warm fifty degrees here. And rain the past four days with more on the way. Almost as much rain as I have ever seen in the past 24 hours. I walked around for half an hour clearing my drainage paths of leaves and pine needles that had washed off the trees and were plugging things up. It was a very enjoyable walk. But I don't really like taking the Ts out in that much rain. I worry about long term water damage. The all time high temperature records in Nebraska were set in the winter of 1939. Global warming indeed! Don't remember the exact number, but most of the hottest years on record in the US were in the last 12 years. Global warming, indeed. There's a new documentary with time lapse cameras placed with view to glaciers in Alaska and Greenland over a period of a few years. Don't go see it. 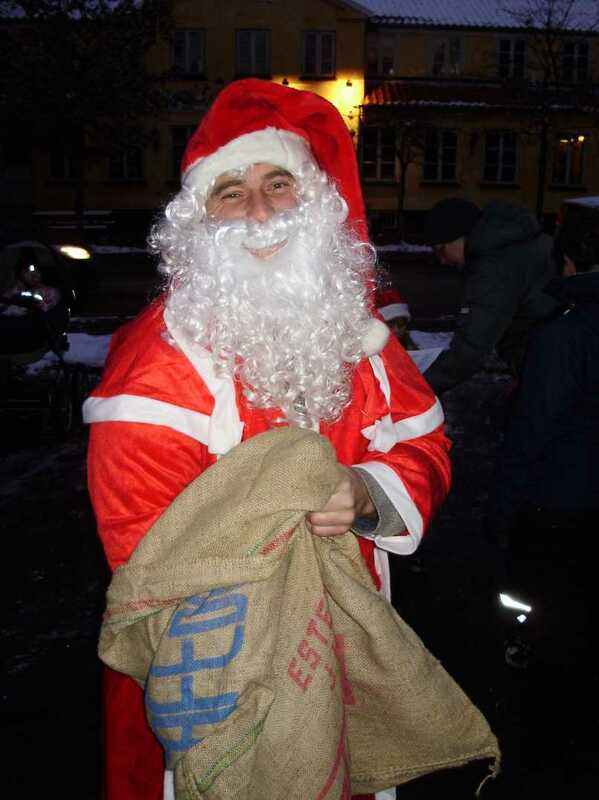 Does Santa work for IBM? You know me.....Winter is often T driving time. There is no winterizing our Lizzy. Carol hates the fact that I am wishing for another real good snow fall this year, like last year. Looking forward to getting the T out in it! Took mine out for a short drive today. Bit windy, a sprinkle or 2. Need to let the vinegar do a bit of work! Was out in ours yesterday. Man did the wind blow! Toasty 40 something! I had my 1926 TuDor out today. 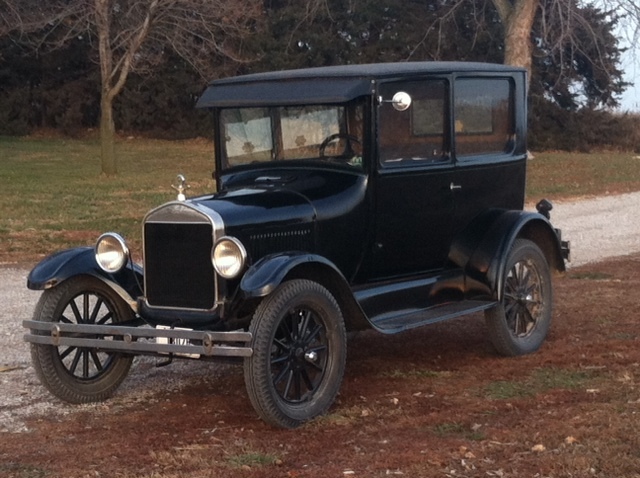 A couple of sixth graders were in need of a Model T for a project they are doing for school. So I went over to answer questions and give a ride. It was very interesting. I was a little taken aback by one comment though. These kids are 11 years old and one of them asked how do you open the windows. I replied you crank them like any normal car. The parents told me that none of them had ever seen window cranks. Geeeeezzzz..... well we had some fun and the kids were very interested with lots of questions and picture taking. I hope they do well on their project. 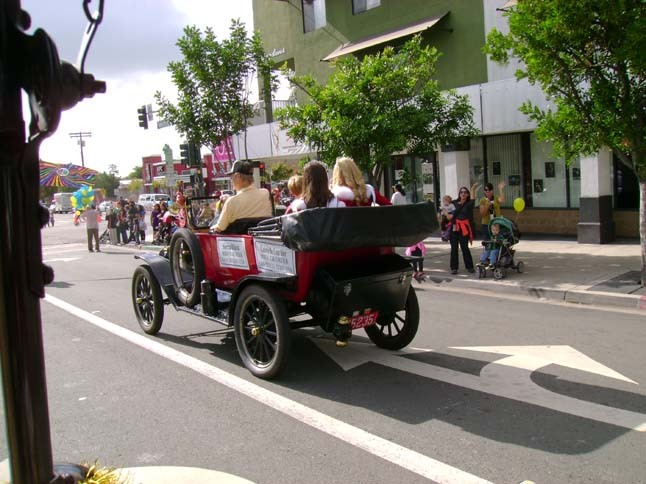 Yesterday we attended a parade in San Diego. 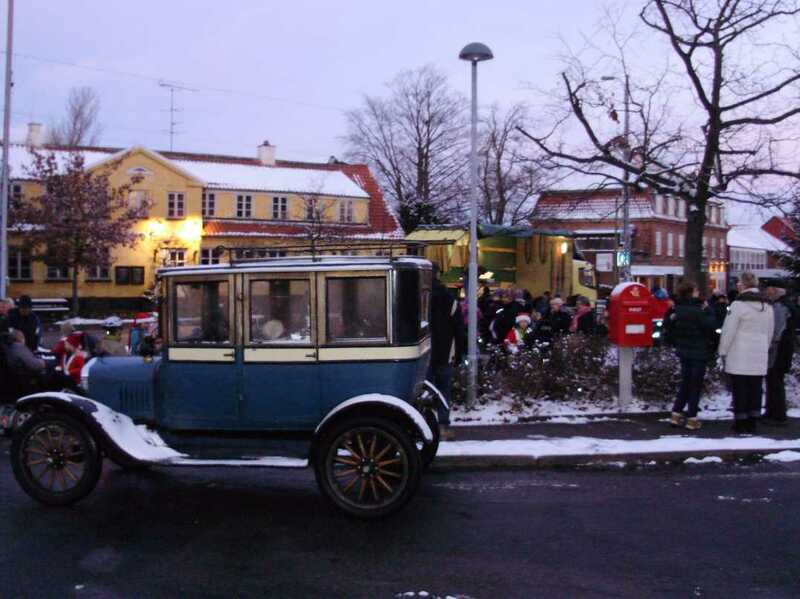 It was cloudy and some people thought it might rain, so we only had 4 Model T's, but it was comfortably warm. It did not rain on our parade. Farther north in California it is flooding. See attached pictures. Norman - You have go to love that San Diego weather, I went to boot camp in San Diego November through December. We wore jackets in the early morning and shirt sleeves in the afternoon. I miss the Southern California autumns, which were most often warmer than the summers thanks to the Santa Ana winds. Here in Alabama fall is always different. We have been blessed with mild, warmer weather. Warmer is almost ALWAYS better than colder. Now, how to avoid the crisis constructors and prevent making billionaires out of charlatans. Had a nice ride today too with my Son Chris. It was a little nippy here in New Jersey but the car seemed to enjoy the brisk air, it ran great! We drove the T touring over to our other store and back yesterday. No salt has been spread on any roads around here. As soon as they spread salt for the first time, we put the touring in storage and then only drive our rusty TT until we have a few hard spring rains to do the final washing of the salt from the roads. Hey, what can I say. I live on southwest Florida. It will be in the low 80's and sunny today, as usual.